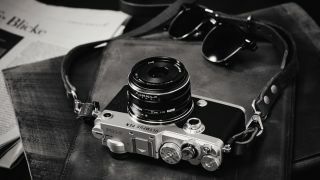 If you’re looking for an excellent camera with the classic looks of yesteryear, we seriously recommend the Olympus PEN-F model – and we have the best Olympus PEN-F camera deals below. The PEN-F surpasses the pixel count of previous 16MP models thanks to a sensor that captures images at 20MP. This allows for considerably more detail than the popular OM-D E-M10 Mark III and previous 16MP models. We’re also big fans of the vari-angle touchscreen that allows you to see what you’re shooting when holding the camera at awkward positions. The Olympus PEN-F comes with plenty of features, with deep customisation options for the controls and images. Sure, these can take some tweaking to get it shooting the way you want, but the results are more than worth persevering for. After all, experimentation is key to getting the most out of photography for any enthusiast! As with any camera of this calibre, prices can vary wildly between retailers, so it’s a good thing we’ve got our price-comparison chart to find you the best prices. We’ve dug around the net and checked the latest prices at the best camera stores out there to make sure you don’t pay more than you should for your new Olympus PEN-F.